I’m super excited to be guest blogging for Fineline Construction! I love the opportunity to share my knowledge with people embarking upon a new home design project. In fact, I get a little giddy at the thought of helping clients’ visions become a reality. I guess it’s rooted in my fundamental belief that everyone deserves a home that makes them really (really!) happy. Having been in the world of design for 20+ years, (Ahem, this just makes me experienced, not old!) I’ve learned quite a few fantastic things along the way. And beginning today and in futureposts, I’ll share some of that with you in an effort to enhance your construction or renovation project experience. (AKA: To make it easier and way more fun!) Some ideas include materialselections, the importance of lighting in your home, why choosing paint is not as easy as it sounds, and what’s the deal with all of those trim profiles and how they affect the overall look of your home. The list goes on and on! Tips, guidance, and cool ideas are super helpful and have their respective place in specific circumstances, but working with a designer on your project as a whole is also an important decision worth considering. (I know, I’m a teeny bit biased, wink, wink.) So I thought it only appropriate to start my first post at the beginning and share my top reasons why you should think about working with a designer in a greater capacity. The beauty of working with a designer is that our brains are always thinking about the entire scope of your project and how all the pieces and parts connect, even when working on a certain task or detail (The Bigger Picture). How it all comes together for YOU is our job and our passion. We work determinedly to get a better understanding of you. For example, how you function in a space, your sense of style, likes vs. dislikes, and how to meld together the wants and needs of different family members. 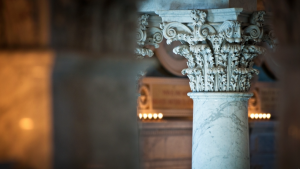 We want to know what makes you and your family’s home unique (disco ball, Corinthian columns, or both?). Do you tend to prefer more modern/contemporary furnishings? Or are you drawn to a particular color scheme? Maybe you’re inspired by custom artwork that you have collected over the years. Or perhaps you just need creative cabinetry to hide your kids’ muddy shoes! No matter what your purposeful and aesthetic needs are, working with a designer will assure that they are reflected in the final outcome of your home renovation or new construction project. To put it quite simply: a designer will make sure your home feels like you. If you have ever been through any type of home renovation project, then it’slikely no surprise to you that excellent communication skills are a must. 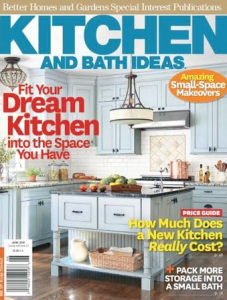 For example, remember that dream kitchen magazine cover you saw in the grocery store checkout line? Well, believe it or not, it’s not always as easy as it seems to explain to your contractor how you want your kitchen to look like that magazine picture. More so, sometimes we don’t even know what our overall vision is when we embark on a home project. We just know that what we currently have isn’t working. That’s where the communication (I’ll say it louder – COMMUNICATION!) becomes SO important. Having a designer work with you and your contractor, adds a style Translator and Communicator Extraordinaire to your project. Remember the bigger picture point I made above? Well, this is where it really happens. As designers, we are well versed in the construction and industry jargon (pediment, stretchers, Palladian, tankless, closed string, bolection…don’t I sound fancy? ), yet skilled at learning your style and your vision and interpreting that for the builder. We possess the critical communication skills to speak the languages of both client andcontractor and can often add in the ‘why and how’, educating you along the way. This arms you with more knowledge as you move through the construction plan and gives you greater confidence in decision-making and ultimately in creating YOUR new fabulous space. This sounds a little cliché, but we help you “say what you mean” so that together, we can bring your ideas to life. All renovation and home construction projects have two things that are constantly in the minds of all involved: budget and deadline. Because, really when it comes down to it, if the project can’t be done in a reasonable timeframe or within the budget set, it will not be considered a success. And nobody wants that. When your project starts moving at pace, decisions need to happen when they need to happen. Delayed decisions lead to a delayed project (Time) and almost always more money out of your pocket (Money). You obviously don’t want to lose either, but more importantly you don’t want to have to make a quick or uneducated decision. This is where a designer comes in. Our objective is for you to stay on task with your selections, understand lead times, get the most value out of the materials you choose, and guide you where extra finesse is appropriate. Or on the flip side, help you determine whether an out-of-plan choice is worth the investment in a schedule extension or budget increase – all while keepingyour vision forefront. 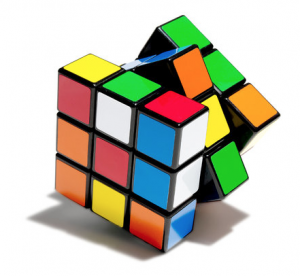 (It’s a little bit like a Rubik’s Cube, challenging but really kind of fun!) So don’t underestimate how a designer can align keeping your vision forefront with the power of time=money. There are many (many!) more reasons that having a designer on your project is beneficial, but the above are truly what I consider the top decision making reasons. If tips, tricks, ideas, and design information are what you’re looking for, then please check back often because I have much to say on those topics too! Changing or creating space is exciting. Living in what you love is amazing. Getting from where you are to where you want to be can be challenging. But, with the right people on your side, it can also be an incredible experience from start to finish! Rebecca McAloon, owner and founder of Rebecca McAloon Design and Living, has been designing since the ripe old age of six, when moving her bedroom furniture and hanging new curtains was a weekly household event. She went on to study design and architecture in college and then gained her know-how by working for several firms and a national household retail brand. And while all of that prepared her for launching her own company in 2004, nothing could have prepped her better than the many, many (yes many!) hours of elbow grease she put into her own homes throughout the years, including several large-scale renovations. Rebecca lives a beautiful life in Charlotte, North Carolina with her crazy, loving, messy, supportive and super fun family. Learn more about Rebecca at RebeccaMcAloon.com.